This is a high-quality craft book! The cover has a nice matte finish, the pages are heavy weight, the photos are crisp and have a consistent color theme, and the diagrams are excellent! One of my favorite features is an info box on each stitch type called 'Essential Facts' which gives relevant information such as common uses, what type of presser foot, needle, fabric, and thread to use, and a substitute stitch. On the diagrams the thread is shown in a nice red so it contrasts with the pale fabric and is easy to decipher. 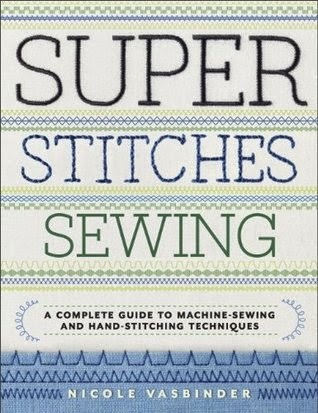 All the stitches covered are ones I'd like to try, and the 'Tools and Equipment' section in the back of the book is especially helpful! Highly recommended to beginners and experts alike.